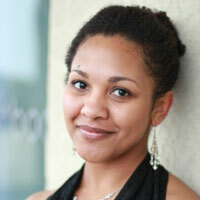 LaTeesha McDonald Jackson performs throughout the region in musical theater, cabaret and opera. She has been featured regionally and internationally in concerts, benefits, and tours. LaTeesha has performed locally with the Lyric Opera of Kansas City, Quality Hill Playhouse, Civic Opera Theater, Fine Arts Institute, American Tapestry Chorale, Kansas City Symphony Chorus, Atchison Orchestra and others. LaTeesha's favorite stage experiences include West Side Story, Pirates of Penzance, Oklahoma!, Faust, Orpheus in the Underworld and Chip and His Dog. LaTeesha enjoys teaching in her private studio, local schools and community settings.